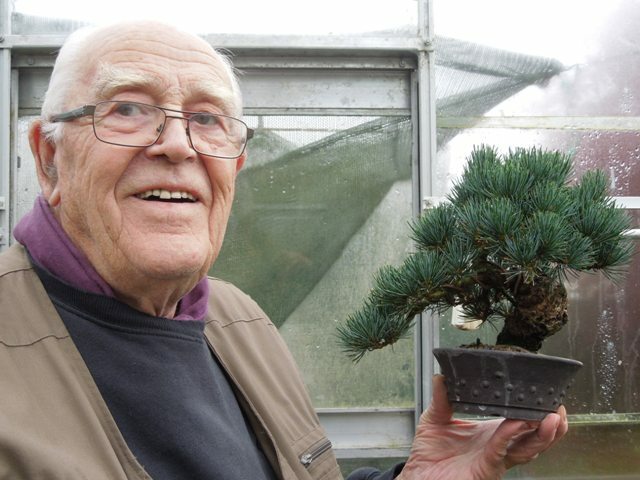 I don’t normally like attaching words like “legend” and “one of a kind” to people but I can do some with a certain degree of justification in the case of Roger Oldham, British Shohin Bonsai’s oldest member,who sadly died this week. Although he had successfully managed both a heart condition and diabetes for many years, it seems that 40 plus years of working in the chemical industry had caused a lung issue that he was unable to pull himself out of. Knowing Roger, he would have put up one hell of a fight. It is a wet and raw Friday afternoon in October and I am sitting in a Dunblane living room where a very sprightly octogenarian is leaping about like a man half his age. I am being very ably entertained by the BSA’s oldest member, Roger Oldham, and it is not long before the conversation turns away from the awful weather and on to bonsai. Over a very tasty (and warming) bowl of soup Roger tells me his bonsai story. A visit to the Royal Highland Show in the mid-80s found Roger straying into the horticultural tent where he was instantly bowled over by a display of wee trees. 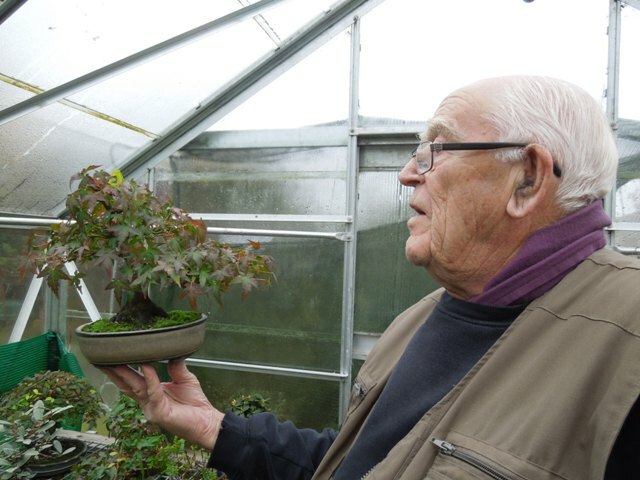 Having never seen bonsai “live” before, Roger was transfixed. “There might have only been ten trees there,” he says, “but they were so amazing it seemed like fifty.” Roger is unsure of whether this was an early display by the fledgling Scottish Bonsai Association, but the display made a major impact on him and left him determined to find some way of taking part in this wonderful hobby. When he mentioned his desire to start working with bonsai to colleagues the next Monday, they laughed outright and suggested he probably wouldn’t live long enough to enjoy the results of his hobby. 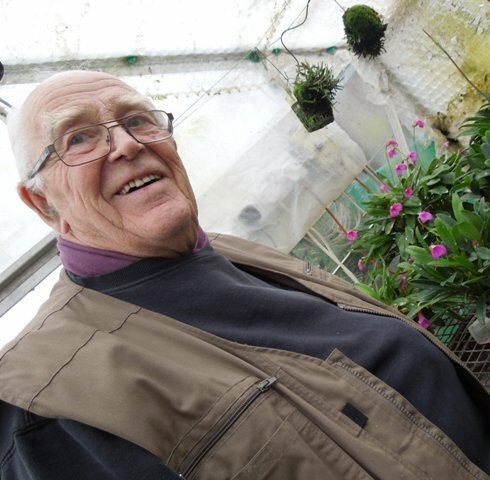 Roger pottered along on his own for a couple of years until a chance visit to the local garden centre yielded the information that a group was possibly starting in Stirling. This was the start of Roger’s involvement with the Forth Valley branch of the SBA, an involvement that lasted for some 15 years. Roger became involved with the British Shohin Association right at its inception and has continued to support it ever since. End of an era? I think so.